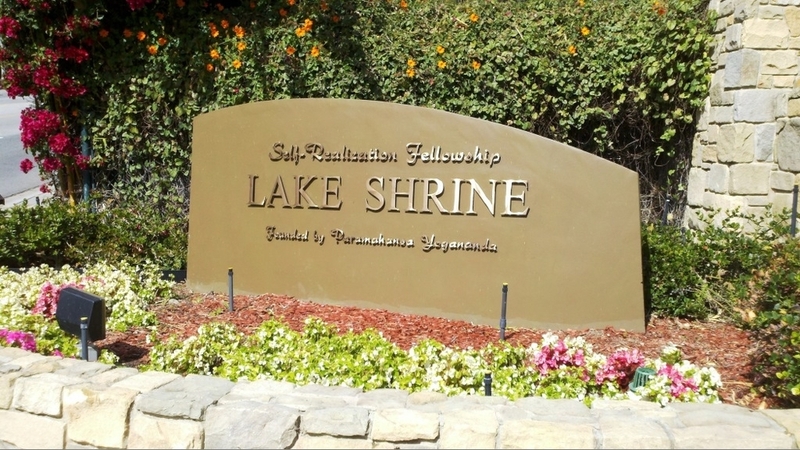 The Self-Realization Fellowship Lake Shrine was dedicated by Paramahansa Yogananda in 1950. This is a 10 acre spiritual sanctuary located at 17190 Sunset Boulevard in Pacific Palisades, about 25 miles from the Conejo Valley. The beautiful site hosts a natural spring-fed lake along with gardens, swans, ducks, koi and trees and flowers from around the world. The grounds include a Court of Religions honoring the five principal religions of the world, the Mahatma Gandhi World Peace Memorial where a portion of Gandhi's ashes is enshrined, a museum with exhibits on Paramahansa Yogananda's work, and a gift shop with arts and crafts from India. The temple itself is on a hilltop overlooking the lake. A beautiful and peaceful place indeed.